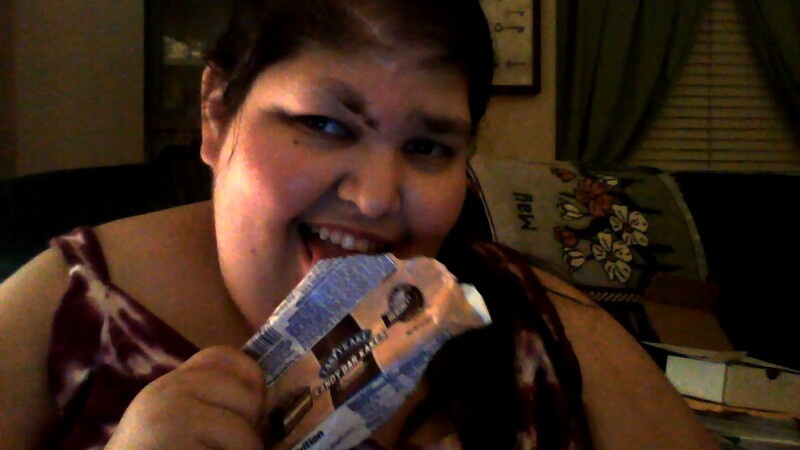 I couldn't even wait to show you the bar (perfect timing for the TastyKake to show up, I was craving chocolate)! My yummy Tastykake was of the Marshmallow variety, which has chocolate, marshmallow, and a cookie.. They even come in two other varieties: York Peppermint Patties and Hershey S'mores. It is small enough that you don't have a sugar overload, but big enough to keep your taste buds content...at least until you need a Tastykake fix! You could even cover it with strawberries, peanut butter, or ice cream if you need even more sweetness. It's great warm or room temperature with a nice, cold glass of milk.